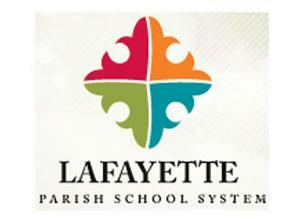 LAFAYETTE – The Lafayette Parish School Board came into Wednesday’s meeting with eight different options for tweaking the 2019-2020 calendar. After a long debate and some public comment, they lowered the number to just two different options, but deferred the choice between them to a later meeting. Proposal 1-A has LPSS teachers reporting to school on July 31st, with the students reporting on August 7th. The last day of school would be May 19th for students and May 20th for teachers, respectively. The second option, proposal 5-A, has the teacher’s first day being August 14th, and the students first day being August 21st. Their last days of the year would be May 26th for students, and May 27th for teachers. Proposal 1-A has a five day Thanksgiving holiday, compared to a three day holiday for proposal 5-A. Mardi Gras would be a five day holiday under proposal 1-A and a three day holiday under proposal 5-A. Easter would be a four day holiday under 1-A and a two day holiday under 5-A. Under both of these there would still be ten days for Christmas. However, there would no longer be a two day Fall Break holiday. Finally, proposal 1-A offers 145 instructional days prior to spring testing while proposal 5-A offers 139 days. The amount of time given to students prior to sprin testing in April is the main reason why there was no final decision made at the meeting.